The printing industry is in the midst of a decline as digital products and services displace printed materials, which is why there has been an increase in the number of firms, including estate agents, diverting a greater proportion of their marketing budgets from traditional print media to online publications. The change in the way consumers behave and now consume content is reflected by the fact that more than 95% of property searches now start online - contributing significantly to the huge success achieved by the major property portals, such as Rightmove and Zoopla, and explains why most estate agents now receive the bulk of their sales leads online. But while the traditional printing market has continued to decline, reports of the ‘death of print’ have been greatly exaggerated. 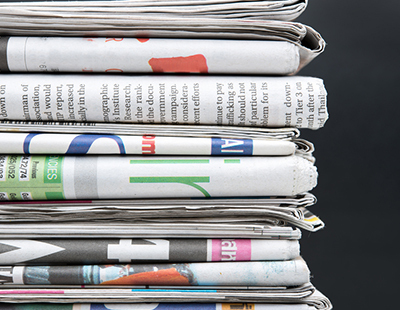 Research shows that although a growing number of consumers are abandoning print newspapers for tablet editions and reading on their smartphones, reflecting the change in the way people communicate with one another, the fact is that many people do still prefer to consume content via print, rather than screen or device. Last year, a survey of over 10,700 consumers was commissioned by Two Sides and carried out by leading research company Toluna, revealing a strong preference for print when it comes to recreational reading, including books, magazines and news. Some 78% of people in the UK prefer to read content in print, such as a magazine, while 72% of respondents believe reading a printed book is more enjoyable than reading a book on an electronic device. The study also found that 78% of Britons do not pay attention to most online adverts, suggesting that print ads make a better impression than digital ones. Trevor Abrahmsohn, managing director of north London estate agency Glentree International, believes that digital and print marketing are “not mutually exclusive”. He explained: “They are very different experiences and each has their own separate virtues. “For instance, the process of sitting in your favourite armchair, in a calm and relaxed atmosphere with a cup of coffee and biscuit, in your warm home, flicking through the pages of glossy, printed literature, is a very luxurious experience with good karma. In the digital age we now live in, technology is everywhere. 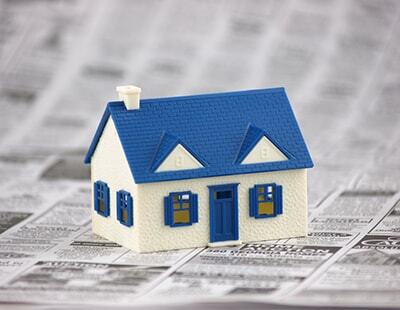 But make no mistake about it, print publishing still plays a prominent role in estate agency marketing. If you want your marketing strategy to be truly effective, you may need to think multi-channel because the printing industry can offer value with targeted messaging through a diverse range of products. From simple leaflets and brochure to signboards and lifestyle magazines, print products remain vital components of any marketing campaign, and should continue to form a crucial part of any estate agent’s media mix. Gemma Crosby, marketing manager, Ravensworth, a print and marketing service provider, said: “Print is still as important as ever to both estate and letting agents. 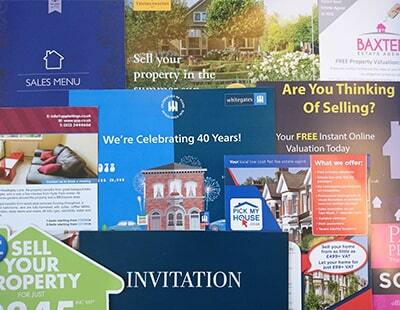 We are seeing that more and more property professionals are choosing to run a campaign over a number of different channels, enhancing key messages through both digital and print. If you want to make a bold statement and leave a lasting impression, print is a very effective way of doing so. Some of the most successful agents often to aim to design and produce something that is very specific and relevant to their customer by adopting a targeted approach, rather than a ‘one size fits all’ strategy. “The artistry, creativity and personal touch that can be achieved through printed materials should not be underestimated,” said Jaclyn Thorburn of Oracle Group. “Print can be used as a really interesting way to add personality, edge and style to a piece of collateral, so we see it as a crucial part of promoting a brand, a development or a property,” she continued. Thorburn advises agents to think about the impression they want to leave and how much of a statement they want to make before they start with the design, and really think about the customer they need to engage with. “Modern printing techniques and finishes have changed the way we design any piece of collateral, and the vision for any sales or marketing brochure, leaflet, booklet, invite, magazine or indeed a business cards often starts with how it should look and feel,” Thorburn added. Aside from targeting a select audience, printed materials also have a longer shelf life and higher potential for reverberations beyond the initial reader, as magazines, and print in other forms, can often remain in an individual’s home for a few weeks – possibly even months, attracting many impressions, which means that a print ad’s value extends well beyond its CPM. Thorburn commented: “Printed materials have a much longer shelf life than anything that’s on screen, so consumers are constantly reminded and can refer back to a brochure or a magazine time and time again with ease. “A glossy brochure on someone’s coffee table will get much more exposure over a longer period of time than a digital advert, although digital marketing has a huge role to play in the marketing mix also. It is important that an estate agent is able to regularly get its brand in front of local consumer’s eyes, and there are many ways in which print can offer competitive advantages over electronic mail. From a glossy magazine to targeted leaflet drops in the form of ‘recently sold in your area’ flyers, one of the best ways to reach homeowners is still through their letterboxes. “Print marketing, particularly when using post, is by far the best way to ensure you are able to ‘talk’ directly to the right prospects,” said Nigel Ross, managing director of Information Works. 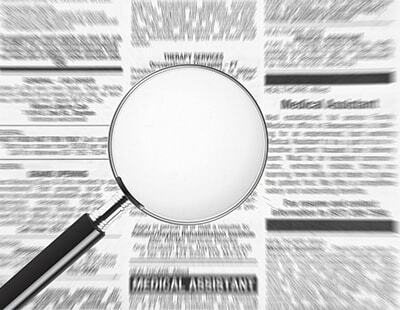 But designing, producing and delivering direct marketing campaigns that work, helping to build and sustain an agency’s brand awareness, will require some specialist research to help agents establish the demographic of their target audience, which will often vary by agency, area and age range. “Extreme targeting, using ‘big data’ and personalisation can be highly effective when ‘print’ marketing,” Ross explained. Print is interesting because it actually provokes people to read it and engage with it in a way that digital doesn’t. If you have time to read a magazine, then you are going to really engage with the adverts in there – often for longer than if you are viewing it online, enabling agents to deliver “a specific message to exact targets”, according to Ross. He continued: “The secret really is targeting, targeting, targeting! Despite the fading fortunes of some print products, many agents still recognise its wider worth and values as a means of marketing property for sale or to let and establishing or reinforcing a firm’s brand identity. Also print has become a strong platform for driving traffic to digital platforms, both through content and brand reinforcement, as well as things like QR codes and hashtags, which can also be used to help drive traffic to a firm’s website. Rather than the ‘death’ of print, what we are seeing is a reinvention of the medium, as it finds its place in a digital world, and ultimately the two mediums work best when working together.